What a beauty of a summer salad! 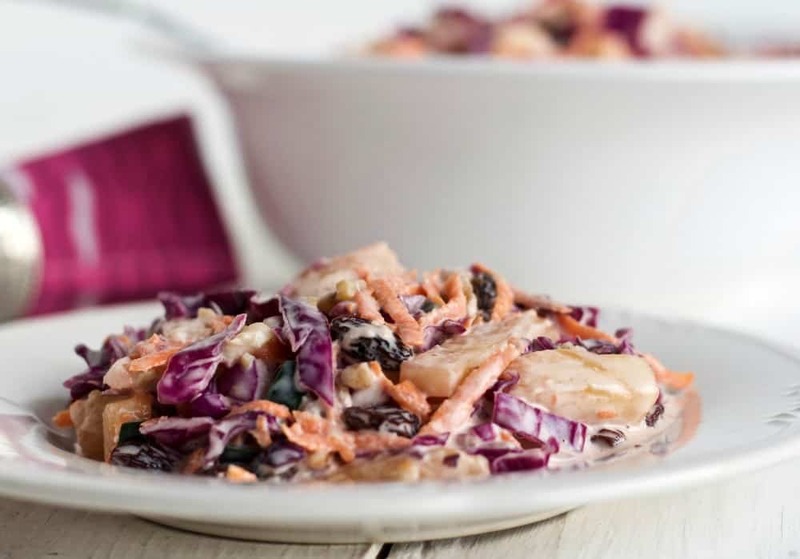 Red Cabbage Carrot Salad is so yummy with all these flavors and textures and it’s healthy! Enjoy the High-Fiber, Vegetarian, Dairy-Free, Gluten-Free seasonal side dish. It’s perfect for the dinner table, lunchbox or picnic! Red Cabbage Carrot Salad a beauty of a summer salad! 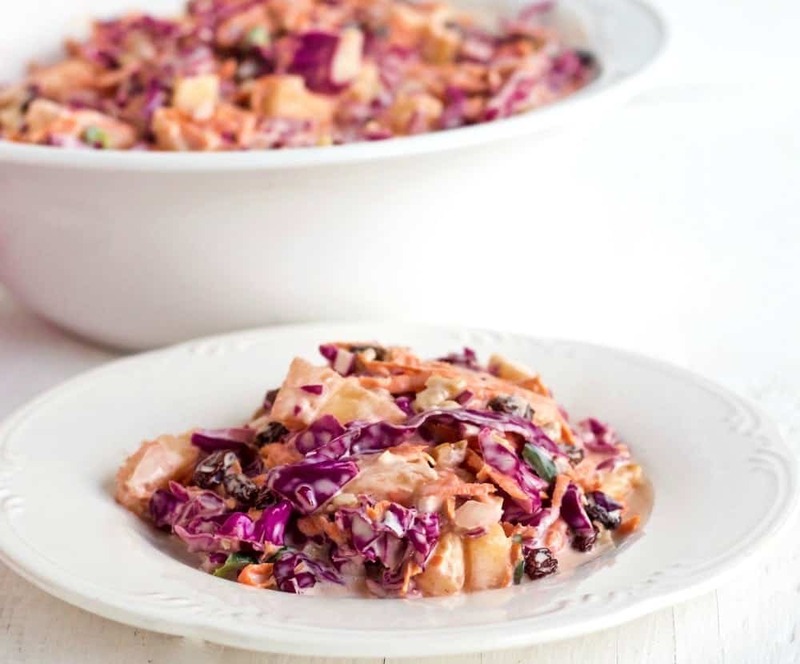 Red Cabbage Carrot Salad is so yummy with all these flavors and textures and it’s healthy! Enjoy the High-Fiber, Vegetarian, Dairy-Free, Gluten-Free seasonal side dish. Summer is no question my favorite time of year. Long, warm, mostly sunny days and lots and LOTS of fresh garden produce for us. What’s not to like? If you are looking for salads check out our side dishes and salads section in our recipe index. 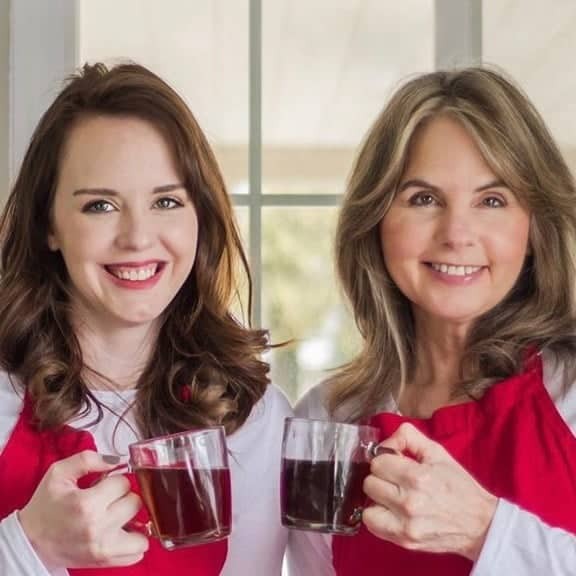 We have many great recipes for you to consider! My biggest challenge this time of year if using all the produce Dave brings in the door each evening. He continues to downsize the garden. With our household shrinking from five adults to just us two, We still have loads of garden goodies piling up every day! 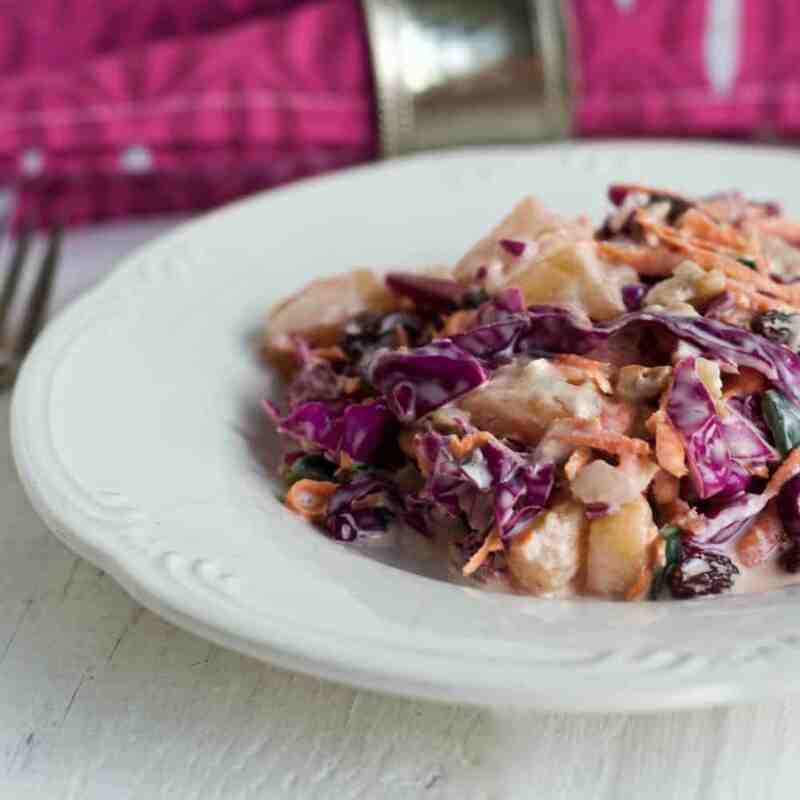 Red Cabbage Carrot Salad is so full of color, flavor and texture! I added pineapple to my salad recipe. And chopped walnuts. There is also a bit of Tiburon pepper and grated onion in my salad. Like I said, our garden is bursting with produce and this IS a salad! So use what you have that your family will enjoy. The main ingredients here are the lovely red cabbage, grated carrots, pineapple and raisins. The pineapple was SUPER in this recipe! The sweet tangy pineapple flavor was a lovely blend of flavors with the cabbage and carrots. We also really loved those chopped nuts. That bit of extra crunchiness was very satisfying. The onion and Tiburon pepper are always welcome in our recipes but they can easily be omitted without a big disappointment. If you DO use peppers; don’t use a sweet pepper. This salad is really good with a pasilla type pepper like the Tiburon. The sweet pepper flavor would be heading in the wrong direction for this salad. You want to give it a bit of spicy flavor without the sweet pepper taste. Just saying! One other note. The red cabbage tastes the same as green cabbage. But the red is so pretty! I encourage you to use the red for added color and festivity! That really makes this salad gorgeous! This salad is popular any time of year, actually. We prefer to make it in summer right out of the garden for a sweet tangy way to enjoy our cabbage and carrots. I’m sure you won’t have any trouble finding these ingredients in the store for most of the year. Start with perfectly ripe red cabbage, pineapple and carrots for the best flavor. I added in a bit of roasting pepper and onion because I had it, but that’s not necessary. Chop the cabbage in half, core it and cut the halves into VERY thin slices long wise. Now turn the slices and cut them up as small as you prefer. I chose bite sized pieces. Put it all in a big bowl. Pour in the raisins and nuts. The salad can be made to this point, covered tightly and stored in the fridge for several hours without the dressing. Whisk together the salad dressing. NOTE: To keep the salad fresh; store the dressing in the fridge in a small bowl by itself until serving time. Now stir it all together and enjoy! Chop the cabbage and pepper into thin and fine slivers with a large chopping knife. Cut the long slices crosswise into one inch pieces. 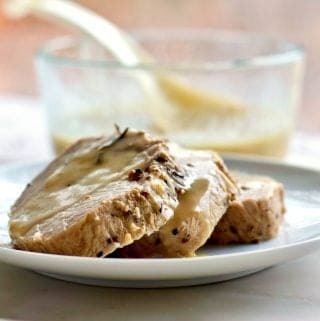 Make the dressing by whisking together in a 4 cup or larger bowl the mayo, vinegar and sugar. Adjust the amounts of vinegar and sugar to suit your family taste. It should be a tangy sweet dressing. Diane-this looks amazing (and gorgeous!). Thanks for the recipe! Thank you Lane & Holly! We enjoyed this salad. Yummy, crunchy and sweetly tangy. Enjoy! This salad looks so good to me. Love the addition of pineapple! Looks like a great side salad for any bbq! Hi Samantha, I agree. This salad makes a great grill side!